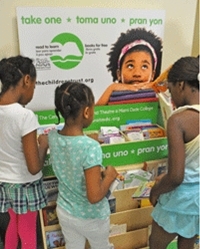 We need thousands of Children’s Books to fill forty bookshelves with free books for kids in Miami Dade County! 88% of children who never graduate from high school were poor third grade readers, and high school dropouts earn less than half of college graduates. Donate your gently used (or new!) books at participating Books & Books locations. We also accept Books & Books gift cards! 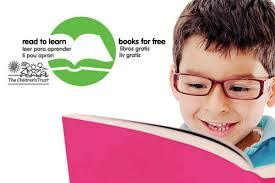 Want to get our kids reading on target? Organize a book drive. Adopt a bookshelf. Volunteer. For the youngest Ladybug Girl fans comes a concept board book about all the different kinds of games that kids like to play. With its sturdy format and at 12 pages long, this book is perfect for toddlers. "There's a curious commotion, at the bottom of the ocean; I think we ought to go and take a look. You'll find every sort of creature, that lives beneath the sea; swimming through the pages of this book." The sequel to the best-selling "Rumble in the Jungle," this delightful new collection of poems includes fun rhymes about the creatures who live in and around the ocean. In We Are in a Book! Gerald and Piggie discover the joy of being read. Charlie Cook has a favorite book. It?s about a pirate, who also has a favorite book . . . about Goldilocks, who also has a favorite book . . . about a knight, who also has a favorite book. . . . This hilarious pattern continues throughout the story, right to the surprising conclusion.